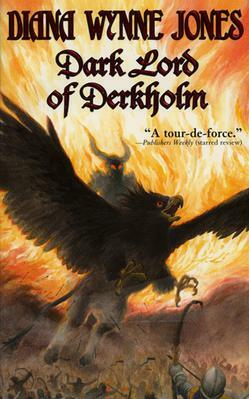 Dark Lord of Derkholm, by Diana Wynne Jones – This story is based on the interesting idea of a fantasy world exploited by an unscrupulous businessman from our world who somehow gained control of a demon. He brings tour groups to the other world, forcing its inhabitants to play certain roles, and damaging the people’s livelihood. It focuses on the family of Derk, the wizard made to play Dark Lord for the tours, but who would rather spend his time creating hybrid animals. I liked it, but it was far from my favorite Jones book that I’ve read so far. It dragged a bit, and it was sometimes difficult to keep track of the characters. 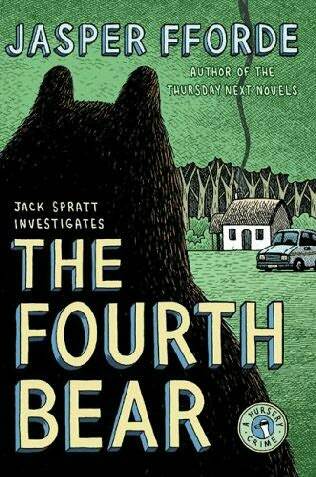 The Fourth Bear, by Jasper Fforde – The second book in the Nursery Crime series is just as referential as the first, if not more so. I have to wonder if Fforde has more fun writing these than the Thursday Next novels, if only because he doesn’t have to offer any real explanation as to why these fictional characters keep showing up. The fairy tale of Goldilocks and the Three Bears obviously plays a major role in the story, and we see some clever exploration of what a society that includes talking bears might actually be like. As the plot unravels, though, it turns out to also involve a multinational corporation run by Edward Lear characters, Dorian Gray as a used car salesman, and an experiment to generate nuclear energy from cucumbers (inspired, by Fforde’s own admission, by one of the Laputan experiments in Gulliver’s Travels). The book is also fairly self-referential, with characters realizing their connections to classic literature and how certain plot devices and joke setups work. If what I’ve said about the book doesn’t pique your interest, you’re very different from me. This entry was posted in Authors, Book Reviews, Diana Wynne Jones, Jasper Fforde, Nursery Crime and tagged dark lord of derkholm, diana wynne jones, dorian gray, edward lear, goldilocks and the three bears, gulliver's travels, jasper fforde, jonathan swift, nursery crime, the fourth bear, thursday next. Bookmark the permalink. I’ve read both of these (Dark Lord years ago, and read at least twice), and I think you might like the sequel to Dark Lord better. There’s a magic teacher who resembles Gilderoy Lockhart from the HP series in a lot of ways, except his obsession is finding a way to the moon. The book’s basic premise is similar to if Hogwarts were a college-level school rather than a high school/grammar school. And, as usual for DWJ, none of the characters are who they seem to be at first. Oh, and the name of the book is The Year of the Griffin. Can’t believe I forgot to mention that. I think I’ve seen that one mentioned somewhere. I’ll have to check it out.